James Arthur Redman was born on 13 February 1924 at Watseka, Iroquois Co., Illinois.1 He was the son of James Roby Redman and Ruby Fellows. James Arthur Redman married Mabel Eileen Foreman, daughter of Roy Foreman and Erma Witty, on 5 February 1948 at Caldwell, Canyon Co., Idaho.1 James Arthur Redman died on 28 April 1972 at Weiser, Washington Co., Idaho, at age 48.2,1 He was buried on 1 May 1972 at Hillcrest Cemetery, Weiser, Washington Co., Idaho; Find A Grave Memorial# 22192336. James Arthur Redman also went by the name of Art.1 He graduated circa 1942 at Caldwell High School, Caldwell, Canyon Co., Idaho. National Archives and Records Administration. U.S. World War II Army Enlistment Records, 1938-1946 (database on-line). Provo, UT, USA: Ancestry.com Operations Inc, 2005. "Those atomic bombs really tore up Japan," writes Sgt. James A. Redman, son of Mr. And Mrs. J.R. Redman, 720 Indiana Street, Caldwell, to his parents. Sgt. Redman, a graduate of Caldwell high school, is with the medical detachment of the American division occupational forces in Japan. The letter reads: "By now you have probably guessed that I am in Japan. It is a lot different that I thought it would be. Boy, those bombs really tore up the place. One place we went through was just a pile of tin and junk. Yokohama wasn't tore up as badly as I thought it would be. It was pretty thoroughly roughed up, but there were still lots of big buildings standing. The Nips have the trolley cars and trucks running now and I don't believe I ever saw so many bicycles in my life. About every Nip in the country has one. "I like the climate here a lot better than any of the Philippines or South Pacific islands. It doesn't get hot in the daytime, but it gets plenty cool at night. I think I could use a pair of "long handles". I don't think I will get to the States before winter comes, so I will probably have a nice winter here. "They say it snows here, but I sure hope not. If it does, I'll probably freeze to death. It will be a lot different than the weather around the equator. "There are plenty of pines and cedar trees around here. These pines sure look good to me. I don't know if the Nips have any good fishing here or not, but if they do, I'll find it. I saw a couple go by the other day with fishing poles. "I don't think you need to worry about any casualties when the Nips are disarmed. Everything looks good to me now. There hasn't been any trouble here yet. This is a lot easier than you think. It sure is different that running then out of their holes. All the Japs I've seen here are scared to death of us. "I guess it is on account of the propaganda the higher authorities told them: It won't be long before they are over it. When you go down the road, the men salute and women bow. "We didn't do any celebrating when the was over and I wasn't any happier than the rest of the gang here." He lived bt 1966-1972 at Weiser, Washington Co., Idaho. SOURCE: Ruby Redman. His Social Security Number was 518-22-6076 issued in Idaho. Idaho Free Press & Caldwell News Tribune, Monday, 01May1972 page 2, column 5. WEISER - Services for James A. (Art) Redman, 48, a resident of Weiser for the past six and a half years, who died Friday at a Weiser hospital, were conducted at 3 p.m. today at the Northam-Jones Chapel by Pastor Basil Lewis. Internment was at Hillcrest Cemetery. He was born Feb. 13, 1924 at Watseka, Ill., the son of James R. and Ruby Fellows Redman. He left Illinois when he was six, going first to Wyoming and then to Caldwell, Idaho. He attended Caldwell schools. He entered the U.S. Army on Aug. 20, 1943, and served in the South Pacific during World War II with the medical corps of the American Division. He was discharged from the Army Feb. 5, 1946. He married Mabel Foreman Feb. 5, 1948 at Caldwell. The couple lived in the Caldwell area where he worked as a mechanic for International Harvester. At the time of his death he was employed by Johnson-Bryant Farm Equipment Co. of Weiser, as shop supervisor. He was a member of the auxiliary police of Weiser. He became a member of the Caldwell Christian Church in 1958. Survivors include his wife, Weiser; two daughters, Mrs. Denice Picard, and LuAnn Redman, both of Weiser; his mother, Mrs. Ruby Redman, Caldwell; a brother, Harold Redman, Minneapolis, Minn., and three sisters, Mrs. Dolores Samuelson, Meridian, Mrs. Doris Nelson, Port Angeles, Wash., and Mrs. Violet Duro, Nampa. [S814] James Arthur Redman, unknown file number, Social Security Death Index (b- 13Feb1924 d- 28Apr1972), unknown series (n.p. : n.pub.). Dolores May Redman was born on 5 February 1929 at Watseka, Iroquois Co., Illinois.1 She was the daughter of James Roby Redman and Ruby Fellows. Dolores May Redman married LeRoy Samuelson on 12 September 1948.1 Dolores May Redman died on 13 September 1998 at Idaho at age 69; SSDI lists born 05 Feb 1929, death on 13 Sep 1998, residence in Caldwell- Canyon Co., Idaho, with the SSN issued Idaho before 1951. The SSN was 519-24-7559. Her married name was Samuelson. Her Social Security Number was 519-24-7559 issued in Idaho before 1951. She lived in August 1998 at 911 E. Belmont St., Apt 22, Caldwell, Canyon Co., Idaho; This was her residence at the time of death. SOURCE: Ruby Redman. Doris Darlene Redman was born on 16 December 1931 at Scottsbluff, Scotts Bluff Co., Nebraska.1 She was the daughter of James Roby Redman and Ruby Fellows. Doris Darlene Redman married John J. Berry circa 23 September 1951.1 Doris Darlene Redman married Conley D. Nelson on 16 December 1964.1 Doris Darlene Redman died on 23 April 2010 at Providence Medford Medical Center, Medford, Jackson Co., Oregon, at age 78. As of circa 23 September 1951,her married name was Berry. Her married name was Nelson. SOURCE: Ruby Redman. She lived in December 2002 at 1428 Highcrest Dr., Medford, Jackson Co., Oregon. A divorce was granted by Seventh District Judge Gilbert C. Norris to Violet E. Luhr. from Delmar D. Luhr. Violet Estelle Redman married Loyd Ross Duro on 11 November 1968 at Nampa, Canyon Co., Idaho.1 Violet Estelle Redman died on 26 August 2016 at Boise, Ada Co., Idaho, at age 82.2 She was buried at Hillcrest Memorial Gardens, Caldwell, Canyon Co., Idaho; Find A Grave Memorial# 169128268. She was buried at Hillcrest Memorial Gardens, Caldwell, Canyon Co., Idaho; Find A Grave Memorial# 169128268. She graduated circa 1952 at Caldwell Senior High School, Caldwell, Canyon Co., Idaho.2 As of 1955,her married name was Luhr. As of 1968,her married name was Duro. SOURCE: Ruby Redman. She lived in 2006 at 299 Addison Ave., W., Twin Falls, Twin Falls Co., Idaho; info from Net Detective in 2006. Violet Estelle Redman Duro, age 83, passed away on August 26, 2016 in Boise, Idaho with her children at her bedside. She was born on April 22, 1934 in Wyoming and moved with her parents James and Ruby Redman to Caldwell, Idaho shortly after her birth. She attended school in Caldwell, and graduated from Caldwell Sr. High School. Violet was married in 1956 and had three children and later moved to Nampa, Idaho. She later divorced, and married Lloyd Duro of Nampa, Idaho. She worked multiple jobs to provide for her children, and became a successful business woman in McCall, and Twin Falls, Idaho. She had a great love for the outdoors, growing roses, and gardening. Violet was an avid golfer, and golfed in may Pro-Am golf tournaments in the Treasure Valley Area. She was also President of the Women's Association at Canyon Springs, in Twin Falls, Idaho. Violet is survived by her children, Rick Luhr of Arizona, Martin Luhr of Kimberly, Idaho, Debra Luhr-Mabbutt (Joe Mabbutt) of Boise, Idaho; and a grandson, Shane Luhr of Arizona. She is preceded in death by her parents, James R. Redman and Ruby Redman; her siblings, Art Redman, Delores Samuelson, Harold Redman, and Doris Nelson; and her husband, Lloyd Duro. No services were requested by Violet. Celebration of her Life will take place at a later date to be announced. Our family would like to thank the wonderful staff at Garnet Place, and Treasure Valley Hospice for their love and care they gave our mom during a very difficult time. Memories and condolences may be shared with the family on Violet's memorial webpage at www.summersfuneral.com. [S2383] Violet Estelle Duro, Idaho Statesman, http://www.legacy.com/obituaries/idahostatesman/obituary.aspx?pid=181310647, 11 Sep 2016, n/a. Hereinafter cited as Idaho Statesman. Statistics, and originally entitled Divorce Records., unknown repository, unknown repository address. Hereinafter cited as marriage. Mabel Eileen Foreman was born on 22 August 1928 at Aurora, Hamilton Co., Nebraska.1 She was the daughter of Roy Foreman and Erma Witty.1 Mabel Eileen Foreman married James Arthur Redman, son of James Roby Redman and Ruby Fellows, on 5 February 1948 at Caldwell, Canyon Co., Idaho.2 Mabel Eileen Foreman died on 10 November 2013 at Weiser, Washington Co., Idaho, at age 85.1 She was buried at Hillcrest Cemetery, Weiser, Washington Co., Idaho; Find A Grave Memorial# 120185041. 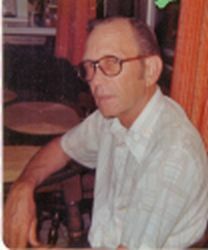 LeRoy Samuelson in June 1977 at French Lake, Minnesota. Leroy had three brothers: Walt, Carl and John. Walt and Carl were in the Army and in the Pacific during WWII. John likely was born about 1916. LeRoy Samuelson also went by the name of Sam. The cause of death was Cancer. His Social Security Number was 518-22-1450 issued in Idaho. [S815] LeRoy Samuelson, unknown file number, Social Security Death Index (b- 21Jul1925 d- Dec1983), unknown series (n.p. : n.pub.). Conley D. Nelson also went by the name of Buzz. 2Lt Conley "Buzz" Nelson went through Basic Training at Reese Air Base and continued on to Spence Air Base for primary training; member of 61-Delta USAF Pilot class. "On graduation day, November 30, 1960, only 252 members of 61-D had the coveted Silver Wings of a United States Air Force Pilot pinned on their uniforms. A few had washed back to graduate with a later class, some had gone on to other USAF specialties, one had died, the rest of the best, had either washed out or SIE'd. " Conley "Buzz" Nelson jumped ship to the USCG after flying B-47's for four years.4 Buzz retired from the United States Coast Guard as a Commander. He lived in December 2002 at 1428 Highcrest Dr., Medford, Jackson Co., Oregon. Conley D. Nelson's email address bbuuzz@charter.net in 2006. [S1941] Spokesman Review website published 02May2010, online http://www.spokesmanreview.com/obits/. Hereinafter cited as NELSON, Conley "Buzz." [S1942] USAF 61-Delta Pilot Training Class, online http://boozers.fortunecity.com/duck/384/contrails.htm. Hereinafter cited as USAF 61-Delta Pilot Training Class. A divorce was granted by Seventh District Judge Gilbert C. Norris to Violet E. Luhr. from Delmar D. Luhr. The cause of death was Cancer. His Social Security Number was 519-28-3112 issued in Idaho. Loyd Ross Duro, 49, McCall, died Friday at his parents home in Nampa. He was born November 20, 1932, at Springfield, Mo., the son of Clarence and Dessie Stephens Duro. He moved with his family to Nampa in 1938 and was reared and educated there, graduating from Nampa in 1951. He served in the United States Air Force during the Korean conflict. He later worked with his father in an auto parts business for 10 years and later was an automobile representative. He married Violet Redman Nov. 11, 1968 in Nampa. They made their home in Idaho and Oregon. They moved to McCall in 1977 and operated an antique shop there. He was a member of the Nampa First Baptist Church; past exalted Ruler of both Nampa Lodge No. 1389 and McCall Lodge No. 2569, B.P.O.E., state vice-president of the Elks Lodge; Board of Directors for the McCall Chamber of Commerce and Chairman of the McCall Winter Carnival. [S816] Loyd Ross Duro, unknown file number, Social Security Death Index (b- 20Nov1932 d- May1982), unknown series (n.p. : n.pub.). [S2313] Dan Fowler, Find a Grave, database and images (: accessed Aug 2014), Loyd Ross Duro (1932-1982), memorial no. 93241256, Hillcrest Memorial Gardens, Caldwell, Canyon Co., Idaho, photograph © Dan Fowler, 2012. Judith Diane Samuelson was born on 17 June 1949 at Nampa, Canyon Co., Idaho.1 She was the daughter of LeRoy Samuelson and Dolores May Redman. Judith Diane Samuelson married (?) Diffendaffer. Judith Diane Samuelson married male Lueckert. Judith Diane Samuelson and male Lueckert were divorced. Judith Diane Samuelson died on 22 September 1999 at Idaho at age 50. She graduated in 1968 at Meridian High School, Meridian, Ada Co., Idaho. Her married name was Diffendaffer. Her married name was Lueckert. She lived in May 1999 at Meridian, Ada Co., Idaho. [S1543] Unknown article title, unknown newspaper, Idaho, about Sep 1999. Randy Samuelson is the son of LeRoy Samuelson and Dolores May Redman. Michael Samuelson is the son of LeRoy Samuelson and Dolores May Redman. Michael Samuelson married Jody Ann Redman, daughter of Harold Warren Redman and Doris Jane Richards, on 3 November 1987 at Winnemucca, Humboldt Co., Nevada.1 Michael Samuelson and Jody Ann Redman were divorced in 1995. Elliot McBain Redman is the son of Joseph Dickerson and Connie Jane Redman. Gregory A. Parker married Connie Jane Redman, daughter of Jim (?) and Violet Estelle Redman, on 14 February 1985. Vanessa Lynn Parker is the daughter of Gregory A. Parker and Connie Jane Redman. Vanessa Lynn Parker married Shane Lawrence, son of Jeffrey T. Lawrence and Rita K. (? ), on 23 September 2005 at Montana. Ariel Parker is the daughter of Gregory A. Parker and Connie Jane Redman. Pearl Ada Fellows was born circa September 1897 at Nebraska.1 She was born on 30 September 1897 at Thedford, Thomas Co., Nebraska.2 She was the daughter of George Elbert Fellows and Minnie Inez Lilly. Pearl Ada Fellows married Anderson Hoyt Merry on 4 June 1914 at Alliance, Box Butte Co., Nebraska.2 Pearl Ada Fellows died on 21 January 1997 at Bradenton, Manatee Co., Florida, at age 99. As of 4 June 1914,her married name was Merry.2 On 10 Feb 1958, Pearl Merry completed an Application for Social Security Account Number (Form SS-5). It listed her mailing address in Missouri. Name at birth being Pearl Fellows, born in Medford, Thomas Co., Nebraska; father being George Elbert Fellows and mother Minnie Inez Lilly. Social Security Death Index listed a Pearl Merry born 30 Sep 1897 and died 23 Jan 1997, last residence being Brandenton, Florida. Need to verify if correct person. Source Citation: Registration Location: Big Horn County, Montana; Roll: 1684099; Draft Board: 0. Description: This database contains an index and images of World War I draft registration cards completed by approximately 24 million men living in the U.S. in 1917 and 1918. Information that may be found for an individual includes: name, place of residence, date and place of birth, race, country of citizenship, occupation, and employer.. Hereinafter cited as World War I Draft Registration Cards, 1917-1918 for Samuel Fellows. [S2131] Letter from Opal Fellows (n/a) to Sandy Brown, 03 Jun 2001; Steven Harn Redman (2633 N. 1600 E., Layton, Davis Co., UT), Opal says Sam was 23 years old when killed by a train. New York Town Clerks' Registers of Men Who Served in the Civil War listed Adin Fellows. He enlisted on 17Jun1863 as a Private in the 8th Artillery. Discharged 07Jun1865.3 Adin Fellows was a Carpenter. There was an Adin Fellows in the 1890 Nebraska Special Census of Veterans (Family History Library microfilm 338196) taken in June of 1890. Listed in enumeration district 53, supervisor's district 2. Adin was enumerated in what appeared to be Kearney?, Buffalo Co., Nebraska, house number 85. The Census did not list rank, company or any enlistment data for Adin Fellows. [S1811] Missouri State Archives, Missouri Death Certificates, 1910 – 1956, online http://www.sos.mo.gov/archives/resources/deathcertificates/, Adin Fellows Death certificate #35451. Hereinafter cited as Missouri Death Certificates, 1910 – 1956. Source Citation: New York State Archives; Albany, New York; Town Clerks´ Registers of Men Who Served in the Civil War, ca 1861-1865; Collection Number: (N-Ar)13774; Box Number: 42; Roll Number: 24. Ancestry.com. New York, Town Clerks' Registers of Men Who Served in the Civil War, ca 1861-1865 (database on-line). Provo, UT, USA: Ancestry.com Operations, Inc., 2011. Town Clerks' Registers of Men Who Served in the Civil War, ca 1865–1867. Microfilm publication, 37 rolls. New York State Archives. Albany, New York.. Hereinafter cited as New York, Town Clerks' Registers of Men Who Served. Ancestry.com. U.S. National Homes for Disabled Volunteer Soldiers, 1866-1938 (database on-line). Provo, UT, USA: Ancestry.com Operations Inc, 2007. Original data: Historical Register of National Homes for Disabled Volunteer Soldiers, 1866-1938; (National Archives Microfilm Publication M1749, 282 rolls); Records of the Department of Veterans Affairs, Record Group 15; National Archives, Washington, D.C. This database contains records from twelve U.S. National Homes for Disabled Volunteer Soldiers. The majority of the records consist of historical registers, but other records included in this database are indexes to the historical registers, applications, admissions, deaths, burials, and hospital records. Information available in these records includes: name of solider, name of home or branch, date of admission, birthplace, rank, company and regiment, dates and places of enlistement and discharge, physical description, occupation, marital status, and religion.. Hereinafter cited as U.S. National Homes for Disabled Volunteer Soldiers, 1866-1938. Ancestry.com. 1891 Census of Canada (database on-line). Provo, UT, USA: Ancestry.com Operations Inc, 2008. Viola Pettit was born on 2 March 1856 at Orleans Co., New York.1 She married Adin Fellows, son of William Leander Fellows and Polly Higby, in 1871 at New York. Viola Pettit married John Leathorn in 1895; 1900 census lists Viola married 5-years.2 Viola Pettit died on 7 June 1938 at Port Huron, St. Clair Co., Michigan, at age 82. Her married name was Fellows. As of 1895,her married name was Leathorn. Marriage Certificate for son James, lists parents as John Redman and Della Kerr. 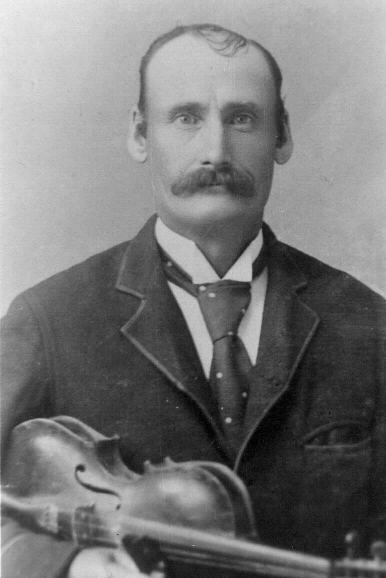 John Redman and family were found in the 1900 Census Soundex, FHL number 124750. The writing on the soundex card was very faint. It appeared to be Adams County, Green township, enumeration district number 3, sheet number 13, and line 83. Not find John Redman in 1910 Ohio Census Soundex. Census 8 July 1870 Jefferson Twsp., Adams Co., Ohio, listed as 6 years old and born in Ohio. [S817] Unknown compiler, CENSUS: 1900 Ohio, Adams? Co , Green? twp (n.p. : n.pub.). Ancestry.com. Illinois, Deaths and Stillbirths Index, 1916-1947 database on-line. Provo, UT, USA: Ancestry.com Operations, Inc., 2011. "Illinois Deaths and Stillbirths, 1916–1947." Index. FamilySearch, Salt Lake City, Utah, 2010. Index entries derived from digital copies of original records.. Hereinafter cited as Illinois, Deaths and Stillbirths Index, 1916-1947. Della Kerr was also known as Ruth Ina Dell.2 Her married name was Redman. Marriage Cert. for James, lists parents, John Redman & Della Kerr. Martin D. Luhr is the son of Delmar Dale Luhr and Violet Estelle Redman. Martin D. Luhr married Joanne A. (?) Martin D. Luhr and Joanne A. (?) were divorced. Debra Luhr is the daughter of Delmar Dale Luhr and Violet Estelle Redman. Debra Luhr married Joseph D. Mabbutt.